Join Weeping Tudor Productions to celebrate 100 years of the musical legend of Leonard Bernstein. Expect to hear classic songs from West Side Story, Candide and other great works. Discover more with exciting recital songs and stimulating piano pieces by the American master. Do join us on the same night for Laura Palmer Theme from Twin Peaks and our Satie Vexations Fundraiser! 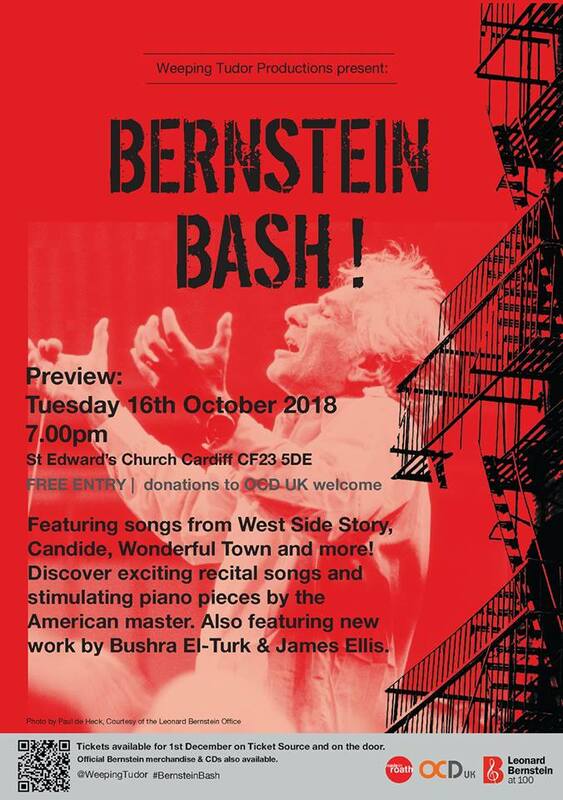 Both event take place after the Bernstein Bash! Preview Concert. Free admission, donations to OCD UK welcome. Main Bernstein Bash! on Saturday 1st December 2018 at St Edward's.